Hello, I’m so glad you are here! Regardless of what brought you to our Saint Agnes School website, we’ve included things we think will interest you about our Catholic faith, our parish community and about the academic excellence that is the hallmark of the school. 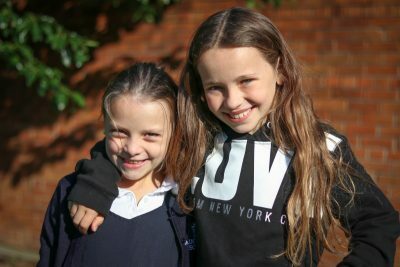 Saint Agnes is a decidedly medium-sized Catholic school with a full menu of options for our students to become actively engaged in their learning. Our size allows for a perfect blend of high-quality resources, personal faculty attention, a close-knit parent community and engagement in our faith community that invites your family to make a positive difference in the world! In 2016, Saint Agnes School opened our first Pre-Kindergarten class for four and five-year-olds. Our youngsters learn and grow through active and imaginative play while expanding communication and critical thinking skills. We incorporate Minds-in-Motion in both the Pre-K and Kindergarten curriculum to cultivate important mind-body connections. 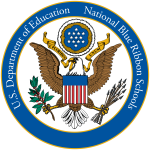 We encourage you to call 502-458-2850 for a private tour of the school to meet members of our teaching faculty and our leadership team as you consider a learning environment for your child. Interested in Saint Agnes School and want to learn more? Fill out our contact form and someone will get back with you with information about our amazing community! Are you interested in an excellent, faith-based, community-centered Catholic education for your child(ren)? Speak with current parents, tour the school and learn about Saint Agnes at our annual Open House. 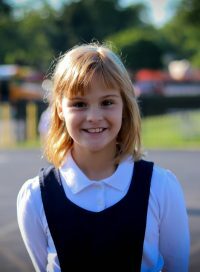 Priority enrollment for Saint Agnes School begins on September 15th. Find out more about how to join our community! 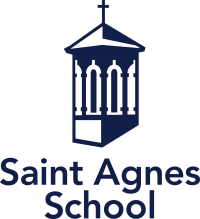 Saint Agnes School’s principal and assistant principal work with 21 classroom teachers, our counselor, learning coordinators, librarian, specialized teachers in the areas of Spanish language and cultures, STEAM education, art, music, and physical education.